Step into an elevator in most tall buildings and you will notice something strange…the lack of a thirteenth floor. The numbers simply jump from 12 to 14, as though that middle number merely doesn’t exist. 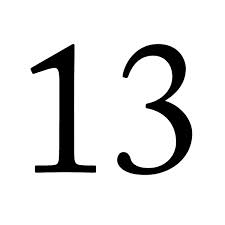 At the root of this creative numbering is a widespread cultural Triskaidekaphobia, or intense fear of the number 13. This deeply superstitious fear, which is named literally for the Greek words for “3”, “10”, and “morbid fear”, is seen in many actions and choices, touching so many that it is often seen as more unusual to use the number than it is to actually use it. 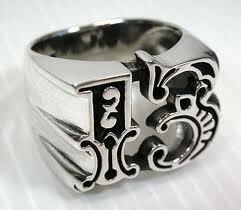 For those that suffer Triskaidekaphobia, it may be comforting to know that this fear is by no means a new phenomenon. References to unlucky instances and common fears associated with the number 13 go back centuries, with some of the earliest whisperings of the darkness lingering on the number tracing to the Vikings. In Viking culture, it was believed that any time 13 people gathered together, one would see their death within the year. Ancient Persians believed that the number 13 was intrinsically linked to chaos and destruction, and would leave their homes on the thirteenth day of the year to avoid bringing hardships upon their families. It was on the 13th day of October 1307 that orders were made to arrest the Knights Templar, and the Apollo 13 mission that was aborted due to an explosion in the oxygen tank. While all of these little details don’t necessarily confirm that the number 13 is inherently unlucky… it may be wise to step carefully from floor 12 to floor 14 and avoid that final doughnut in a baker’s dozen.